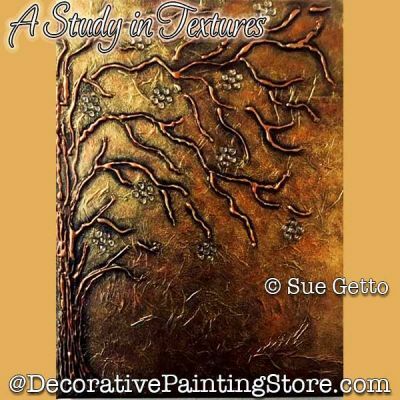 Mixed media tutorial using tissue paper, hot glue, metallic paints. The sample is painted on 12"x16" canvas, but you can apply this technique to any size surface. This tutorial does not include any line drawings to trace.